There are numerous advantages of using chauffeured limousine service, and each one of them would make your life and traveling much easier. However, we have made a selection of major reasons that make such service the best choice. Of course, these are only some of the many good reasons, and we are sure that you can think of more. 1. Save time – We all know it, time is money. Such service enables you to be more productive, i.e., you have more time to dedicate to yourself and/or do other activities. You can read, check your emails, make important phone calls without being interrupted, think about future projects, make a shopping list, catch up on the latest episode of your favorite show or simply sit back and relax. Also, you don’t have to waste your time trying to find a taxi and be worried about whether you will get to your destination on time. Even if your flight is delayed or late, you don’t need to inform anyone of it, because your reliable limo company closely monitors your flight and reacts appropriately. 2. Avoid stressful situations – How many times did traffic jam and reckless drivers cause you to feel intense anger? One can only imagine. And almost always it happens when you have significant meetings or tight schedules. Say goodbye to road rage, looking for parking or choosing bad or longer routes in unfamiliar places and having to pay unexpected and excessive road and bridge fees. Your professional chauffeur will use the fastest and most convenient routes to get you to your desired destination. Forget about the stress regarding your safety in harsh weather conditions. Using chauffeured service means that everything is arranged in advance, so you don’t have to be concerned about anything. 3. 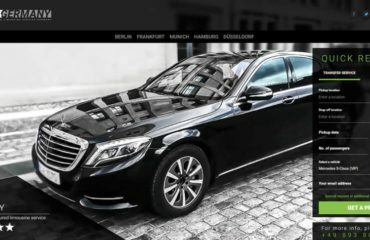 You want a customized service – If you have particular transportation needs, e.g., you have created your own itinerary and have to use the mix of services, such as airport transfers, sightseeing tours, shuttle service, ski transfers, etc., including many stops, then having a vehicle with a chauffeur at your disposal is the right choice. You don’t have to adjust to the schedules of the public transportation or depend on the availability of taxis and the mood of their drivers. In fact, everything is tailored to suit your requirements, needs and lifestyle. Therefore, chauffeured limousine service is the most convenient and cost-effective means of transportation. Your wishes matter only – that’s the philosophy of a premium limo provider. 4. You celebrate – There is no better way to celebrate your event than to use a chauffeured luxury vehicle. Whether it is a wedding, honeymoon, prom, birthday, anniversary, concert or (bachelor/bachelorette) party, your special day deserves to be marked in style and free of headaches and anxiety. A high-end limousine service will help you achieve the kind of atmosphere and create the experience you want. Needless to say, with overwhelming emotions, such occasions usually imply taking pleasure in delicious cocktails, fine wine or great beer, thus you need to make sure you get home safely. This type of service guarantees that you can enjoy your celebration to the fullest. 5. Personal touch – Chauffeured limousine service ensures that you feel special and pampered – it’s something each one of us would like every once in a while or always. All attention is devoted only to you and your desires. The courteous chauffeur gives their best to fulfill all your requests and is ready to assist you with your luggage or anything that pops up. A touch of luxury and maximum comfort – choosing the vehicle and its style, listening to your kind of music, choosing your desired temperature, etc. will complement your journey perfectly. What is most important is that you are not treated as yet another client.